Home / Finance / Pros and Cons of Investing in Property in Bangalore? Pros and Cons of Investing in Property in Bangalore? Making a real estate investment is a big decision, but the rewards it offers are substantial too. While the value of property and the budget that you have in mind are likely to guide your investment, you should also look at the larger picture. 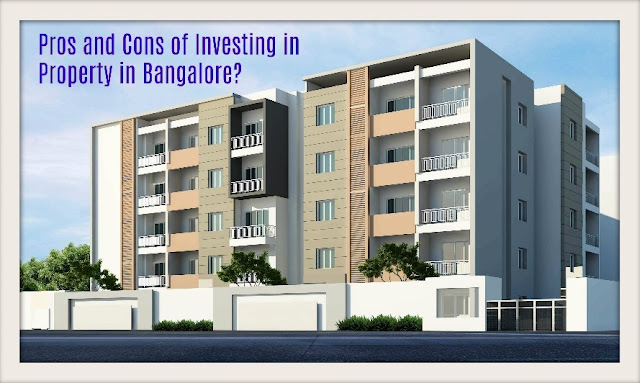 Examining the pros and cons of investing in property in Bangalore, for example, will give you an idea of whether or not it makes sense to invest in the city based on your goals and risk appetite. 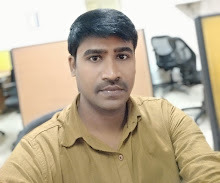 Evaluating this, in addition to factors such as the long-term real estate prospects and infrastructural growth, will tell you whether or not it makes sense to invest in property in Bangalore. Advantages of investing in Bangalore property? Bangalore still has a lot of plots of land to offer, so if this is an avenue you are interested in, Bangalore is a city worth considering. With a plot of your choice, you have the flexibility to customise your home exactly as per what you have in mind, which is an option that an apartment doesn’t offer. As compared to several other Indian cities, Bangalore still has a lot of greenery, and apartment complexes are also doing their best to preserve this. This gives you an escape from the city’s buzz, allowing you to disconnect. For instance, you can invest in a property that is closer to the international airport and benefit from uninterrupted views of nature, as well as price escalation a few years down the line as the area develops. As it is an IT hub, this city is attracting domestic as well as foreign real estate investments. This in turn has given the residential real estate segment a boost. As the demand for homes rises, you are likely to earn a good profit on your investment. So, consider investing now to make the most of the relatively low prices. The city has an excellent network of malls, hospitals, schools and transport, ensuring that all your needs are taken care of. At the same time, property prices even in prime localities in Bengaluru aren’t as high as they are in other metro cities. This means that buy 2 bhk flat in bangalore gives you access to top-notch amenities at a very affordable price. Disadvantages of investing in Bangalore property? Most of the new properties are situated in the outskirts of the city. So, security may be an issue if your property is isolated. If you plan on choosing a property in such an area, pay close attention to the security measures taken by the complex before moving ahead with the purchase. Also, look into the cost of securing your apartment or villa independently. You can choose from a variety of localities in Bengaluru, but if it is an upcoming area, there is no saying whether or not it will develop into a self-sufficient, safe neighbourhood. So, be cautious about selecting a property in an upcoming locality, and check whether other builders are considering the area as well, or if schools and government institutions are setting up units. Only if you’re sure about the growth prospects of the neighbourhood as a residential location should you make a decision. Also, you must check the reputation of the builder in the real estate segment before investing in the project to ensure that you will get a well-built, sturdy apartment along with all the amenities promised to you. For instance, Vaishnavi Group is a name that you can trust in Bangalore, along with other developers such as Brigade Group, Bhartiya Group and Prestige Group. So, weigh the pros and cons in depth and then decide on whether it makes sense for you to invest in a property in bangalore. To make the process smoother, enlist the services of Bajaj Finserv Homes and Loans. You can seek help with finding the best property, as well as with in-person assistance for site visits.